Through Mass Volley the future stars of Volleyball are created through pure grassroots activities, where fun and passion for Volleyball are the real essence of the activities. 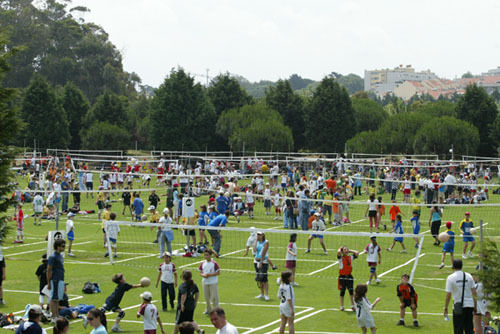 The way of Mass Volleyball will show Volleyball as an entertaining sport with positive consequences for children and as a sport which can be played anywhere with very little equipment. Each Mass Volleyball event attracts the attention of the media and therefore it opens the door to positive promotion at the national level where National Volleyball Federations benefit immensely. Join the Mass Volley experience now!